Not an important match in the scheme of well, anything, so it's probably useful to get such an ineffective performance out of the way at this stage. Mkhitaryan and Ramsey have most likely condemned themselves to the b-team after that. Sporting offered nothing and we we were completely in control for once, but Ramsey, Smith Rowe, Iwobi and Mkhitaryan just did almost everything wrong in the final third so as to completely nullify any threat. Annoying performance rather than an overly worrying one. Holding and Guendouzi probably the best two players on the night. Also, worst ref ever. Since Taylor, Dean and Atkinson last refereed a game, anyway. Oh, and get well soon Welbz. I don't really know why I stole myself away from drifting off to sleep. Had planned to get some last minute tickets for this but thankfully that fell through. Have we won the group yet? Didn’t think Guendouzi was especially good neither. 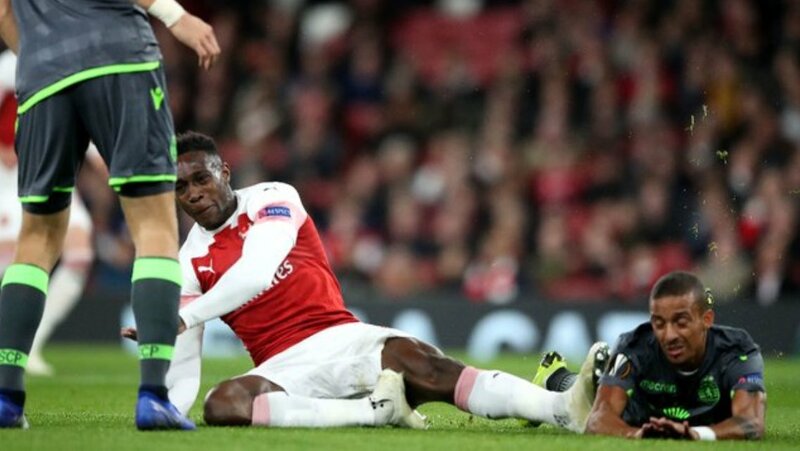 Very frustrating night indeed..... and gutted to take an injury to Welbz. Unless he wants to include him Sunday.... no idea why AMN didn’t start. to be fair we generally defended well especially Sokratis. If that's as serious as it looks then Welbz may have played his last game for us, given his contract situation. Poor result but we're through at the end of the day, backups really not pulling up any trees, no real hunger to impress to put themselves in with a chance of the first 11 with some of these guys. As for Welbeck, terrible for him and his career really, bad timing as well with his contract running out, hope he makes a swift recovery. For us though it's not a big deal it's not like he's a key player, he's a backup and replaceable so not worried on that score. Like MO says might have played his last game for us, I wouldn't mind if it is, he's a decent hard working player, but not really a gamechanger. He’s a very good person. His commitment with us is very big. He’s helped us with his behaviour, with his quality and his capacity. It’s a very big injury for him, for us, for all people who like and love him as a person." Gutted for Wellbeck. Not a massive game changer as said earlier, but a decent, hard working bloke! Get well soon Welbz.